Congratulations to Van Ness Feldman client Deepwater Wind for launching the nation's first offshore wind farm. Wind, marine hydrokinetic, and other forms of renewable energy have enormous potential to provide clean, reliable electricity to major load centers all along the U.S. coast. Van Ness Feldman provides our clients with unique expertise and hands-on experience in nearly every aspect of the offshore renewable project development process. In addition to our extensive work in land-based wind, solar, and hydroelectric energy project development, the firm represents offshore wind and marine hydrokinetic project developers on both the Atlantic and the Pacific coasts. The firm has also provided counsel on several proposed offshore transmission projects. Preparing for and obtaining federal licenses, offshore leases and transmission rights-of-way. Helping project developers and investors understand and meet all environmental permitting, compliance, and consultation requirements (e.g., Clean Water Act, ESA). Overseeing NEPA, ESA, NHPA and other environmental studies. Assisting developers and utilities to prepare and evaluate responses to Requests for Proposal (RFPs). Negotiating Power Purchase Agreements (PPAs). Navigating state and federal electric transmission, interconnection, and cost recovery rules and regulations. Helping projects satisfy state Renewable Portfolio Standard and greenhouse gas allowance market requirements. Developing and permitting offshore transmission projects. Advising on ISO/RTO transmission planning processes. Assisting developers to navigate federal and state energy and environmental regulatory requirements. Navigating the intersection between Congressional and agency priorities to ensure appropriate support throughout the development and permitting process. Engaging existing federal and state government processes in finding workable solutions to develop offshore renewable projects. Identifying and securing state and federal funding opportunities. Identifying and cultivating partnerships among the various federal agencies involved in regulating these projects and other parties in this sector. 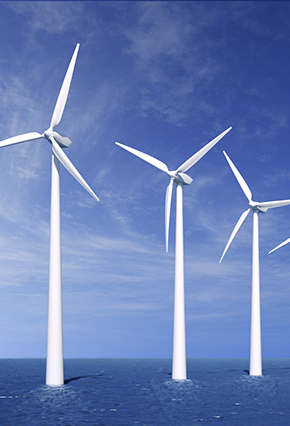 Conducting federal energy regulatory due diligence for investors in offshore renewable projects.